Annual, to 30-40cm, stems branch in many directions, and these stems may turn red, in colour. Green leaves, 6cm long, form opposite, at knotted joints on the stem; leaves are palmate in shape, deeply cut, and often tinged with colours of pink, red or bronze. Stems and leaves are covered with very fine hairs. Very dainty, bright-pink, ‘joy giving’ flowers, 15mm across, have five, rounded petals. Each petal has 3 streaks of white, starting at the centre and phasing out along the petal. Flowers develop, in groups of 2 or 4, at leaf axils. Following the flowers, the base of the blossom quickly fills out and develops into the oval seed receptacle, 17mm long, and when mature, looks like a bird’s beak, which is why the plant has been given the common names: ‘storkbill’ and ‘cranesbill’. As the seeds dry off, nature has a way of dispersing: by opening the ‘beak’ and ejecting with a sudden spring action, flinging the 5 small, oval seeds in five directions, ensuring that there will be future generations of the plant, for mankind’s use. I believe this plant should be in every garden, ready for service. Herb robert is a supreme, therapeutic herb. Although, very little information is available, on the constituents, this herb’s action is one of the most outstanding herbs that we can use regularly, as an enhancer of the immune system. Research has revealed herb robert is a source of germanium, a valuable element to the body, as it has the ability to make oxygen available to the cells. More oxygen, at cell level, means the body has the opportunity to fight disease by its own powers, and healing can take place quickly. Lack of oxygen, available to the cells, can be caused by free radicals and a toxic state around the cells: meaning the cells cannot get the required oxygen, or the nutrients, to regenerate. The area becomes anaerobic, the beginning of pain, disease, wayward cells and cancer. Dr. Otto Warburg, twice Nobel Prize winner, said in 1966, “The prime cause of cancer is lack of oxygenation of the cells”. He discovered that riotous, wayward cancer cells could not exist in the presence of abundant oxygen, but only in and anaerobic state. Because oxygen plays such an important role in cell health and immune function, using herb robert regularly, can be something really practical we can do, for overall wellbeing. Germanium not only works as an oxygen carrier and catalyst, but also stimulates electrical impulses, at a cellular level, which has a beneficial ripple effect, throughout the whole body. Germanium’s remarkable effects on the immune system have been documented in medical journals: as an energy giver, immune builder, and as a powerful therapeutic and preventative, as a vigorous adaptogen, acting to alleviate minor or major health imbalances. Germanium provides an antibiotic, antiviral, antioxidant arsenal; and, I believe this is what we experience, when we make herb robert part of our daily lives. Many years ago, someone shared with me an article on herb robert that has given many people new hope from serious conditions of the body. The article was written by V. Ferrandiz N.D. Spain, published in 1976 as a news item, in ‘Herald of Health’, entitled: ‘Geranium Robertianum, ancient herb used in the treatment for defeating cancer’. The article gave details of how to use the herb, and several case histories. The following three paragraphs are from the article: ‘In this article, I will report on the healings accomplished with a humble herb, St. Robert’s Wort or Geranium Robertainum. This healing is not a modern invention, within the natural healing arts. The great botanist and teacher, Dioscorides, had already described it. Probably, someone in Portugal had read about his description of the remedial action of Robert Wort against cancer, and knowing about some cases of this terrible disease, started to use this herb or recommend it to the patient’s relatives. And so its healing virtues soon spread over the country, which attracted the attention of the media, who began to investigate and collect information from several sources. In February 1953, the ‘Natura’ magazine printed a letter by P. Friere, an outstanding Portuguese Journalist, stating, “My colleague, Mr. Nunes de Carcalho, reports about his motherin- law, aged 83 years. She had been afflicted with bowel cancer, confirmed by two doctors and x-rays. They advised that not one but two surgical interventions were deemed extremely essential, but, despite this, the poor old lady possibly would not stand the operation, at her age. Someone told Mr. De Carcalho about a person who knew about a prescription with which she used to cure this disease. The woman prescribed a mixture of powdered leaves of St. Robert’s Wort and fresh raw egg yolk. The patient took this and was healed. 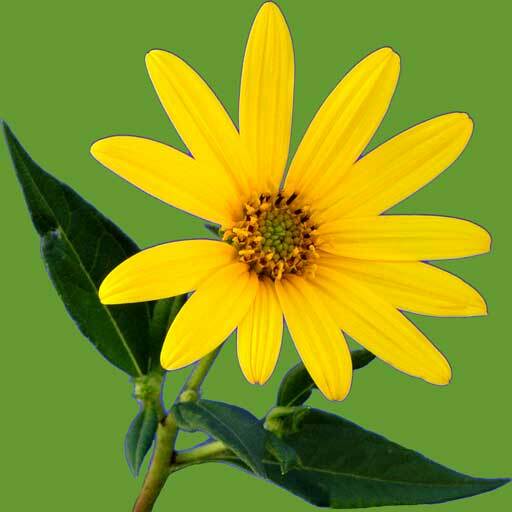 The plant has astringent, homeostatic and antibiotic actions. Shortly after, the wife of the journalist fell ill, and the same doctor who advised the two operations for the old lady, attended her. It was at this time that the doctor discovered that the woman, whom he thought would have been dead, was healed. Then, more information was found about others who had been healed; some, of cancer of the bowel; others, of lung cancer; of breast cancer; and cancer of the uterus. Especially mentioned, was the case of a lady afflicted with intestinal cancer as diagnosed by xrays and doctors; she was in her last stage of endurance, as the wound was deep and large. Treated with this remedy, Herb Robertianum, in a few weeks and with some enemas, a total purification was accomplished. To this, the reporter added… it is usual for doctors to doubt their own diagnosis, rather than accept that cancer has been cured by a humble herb. Another woman healed with this herb, was Anna Cruz Caridade, who had inoperable lung cancer, with branches leading to the neck and arms. She heard about the healing virtues of St. Robert’s Wort and tried it. Very soon, an improvement ensued and, after a time, was completely healed. Some time later, lumps appeared in her breasts, rib and shoulder and her doctor advised a series of radiotherapy treatments. But she remembered what had happened with the lung cancer, and again, tried the same herbal treatment. Gradually, the nodes started to recede and diminish in size, until they were completely gone’. Now, over 25 years since the man shared the article with me, I know of many people who have benefited with this extraordinary herb, having listened, over the years, to their various problems and reports. People ring and say specialists are rather mystified that they can no longer find any trace of cancer on x-rays or tests. Did their doctor make a wrong diagnosis? I prefer to acknowledge that herbs have been given to us for our health, and healing. Andrew called to tell me he had been diagnosed with advanced bowel cancer; and his doctor had told him to go away and die. He had been told about herb robert, and started taking the herb, daily. His cancer is now in remission. Recently, Mary called from North Queensland, to tell me she was enjoying a holiday on the Sunshine Coast, and a new lease of life. Her life had been marred by lung cancer, but now was free of any sign of it, which Mary believes was due, entirely, to taking herb robert daily, for 11 months, and she will continue to take it. Robyn wrote to me from interstate, saying that drinking the herb had caused bladder cancer to disappear, not even leaving a scar. Most people, who start on herb robert, immediately experience relief from pain. Some see improvement in conditions very quickly, while others may only get results after many months, of using the herb. No one can say that the herb is a cancer cure. To my knowledge, no scientific research has been done that shows it can cure any ailment. It does have special properties, like many other herbs, that can help the body to heal. Many factors can play a part in recovery from illness: including diet, exercise, natural herbal remedies, positive attitude, a loving environment, and being able to release stress. Many people have benefited by the herb, or experienced pain relief from various conditions, however this does not mean that everyone will experience full return to health. This little plant, once called St. Robert, has been revered in herbal history for many ailments. These have included: stomach problems, as a digestive aid, a blood cleanser and body detoxifier; for diarrhea, diabetes, shingles, enteritis, skin conditions, bruises, inflammation, rheumatism and arthritis, peptic ulcers, kidney diseases and stones, hemorrhages, herpes, colds, lethargy, adrenal gland diseases, impotence, gout, liver ailments, mucus congestion, infectious sores, gastritis, hemorrhoids, painful inflammation around finger and toe nails, and eye irritations. A friend had a growth forming over her eyes, causing blurred vision. Barb completely cleared the film, and the problem, by bathing her eyes with an infusion of the leaves. 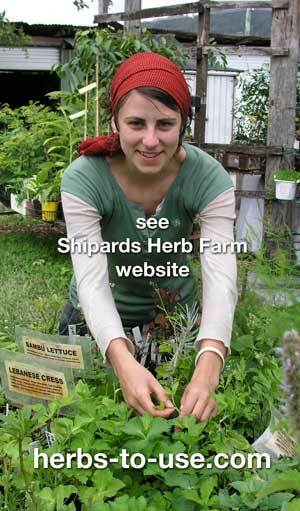 Doreen shared with me, in a letter, her experience with the herb, “I am now bugged with cataracts on both eyes. The left eye was completely blind. So I made a tea of the leaves and mixed aloe vera with this. I wash the eyes out with this mixture, twice a day. After about 3 weeks of this treatment, I am starting to gain a little sight in the left eye, and the right eye has also improved. Thank you for telling me about herb robert”. The herb has come to the rescue, as a gargle, for many people with mouth ulcers, bleeding gums and sore throats. Rub bruised, fresh leaves over the area, or use the herb, made into a tea, as a mouth rinse and gargle. 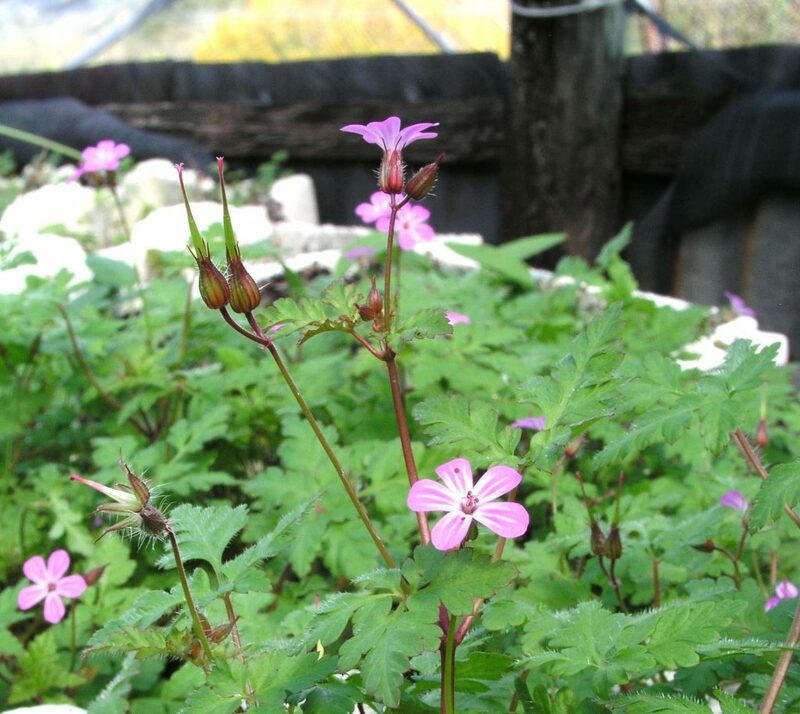 Several diabetics have found using herb robert, regularly, has helped to stabilise blood sugar levels. Rudolph Breuss, in his book, ‘Cancer and Leukaemia’, gives advice for treatment of cancer and other, seemingly incurable, diseases, saying that: besides the vegetable juice regime, and kidney tea, herb robert is essential, when dealing with all cancers, as it stimulates the kidneys to reject and eliminate poisons. He recommended that a pinch of the herb be steeped in 1 cup of boiled water for 10 minutes and drunk, cold, daily. In one chapter in the book, he wrote on infertility; he recommended, for couples who have had difficulty conceiving that both husband and wife should sip a cup of herb robert daily (made the same way as for the cancer treatment above). He knows this method is effective, from feedback he has received. In his ‘hints for farmers’ he recommends a handful of herb robert, mixed with concentrates and a little salt, fed to cows (for 3 days) that cannot come into calf. The original article I was given, stated that, for cancer treatment, the method of use was to take the leaves and stems of herb robert (either dried and powdered or finely chopped, fresh leaves) to make a heaped teaspoonful. This was mixed well with a fresh, raw egg-yolk, taken first thing in the morning, on an empty stomach. Don’t be put off by the thought of the raw egg-yolk, as believe me, it is quite palatable. The finer the herb is cut, the easier it is to swallow. Note, it only smells like foxes (to me); the flavour is not unpleasant. Approximately 20-25 large leaves and stems (10-15cm long) are required to make 1 teaspoonful of finely chopped leaves. To keep up this daily dose, quite a number of plants need to be growing and well established to have sufficient leaves for a daily supply. For people who require a consistent, ongoing, supply of leaves, I recommend that as plants flower and set seed, that these be handpicked. Seed is mature when the capsule is 2cm long, with the oval seed receptacle being plump and hard, when felt with 2 fingers. Nip off the hard capsules and leave to dry 3-4 days. Sow seeds in large pots, a shady spot in the garden, or styrofoam fruit boxes are ideal, as they can accommodate a thick planting of seeds. Cover seed with 5mm of fine soil. Water regularly, so the soil does not dry out. Germination can take from 2-6 weeks, depending on temperature and climatic conditions. 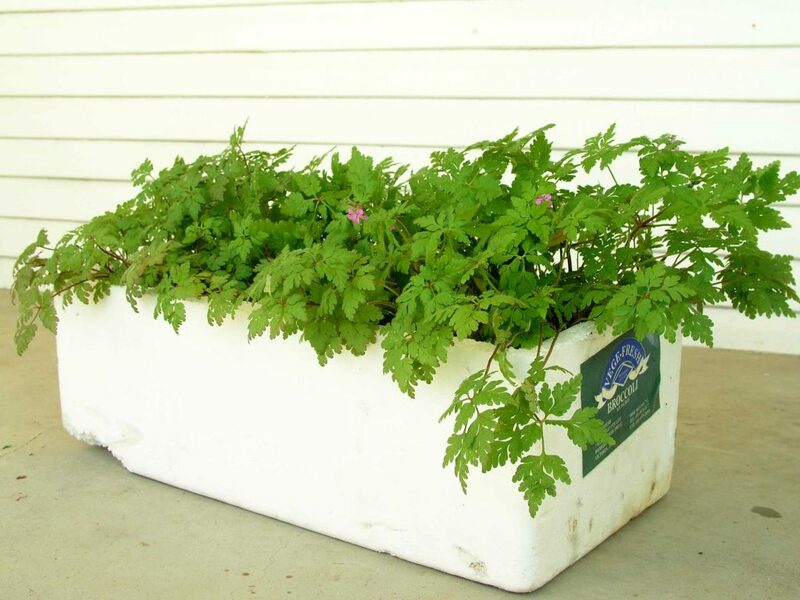 For people using the herb daily with raw egg-yolk, it is advisable to get 6-10 styrofoam boxes of plants established, and also to maintain an ongoing regime of regular seed planting. It is the consistent, daily, use of the herb that is important to improved health. For any other therapeutic use, or people wishing to use it as a preventative and strengthen their immune system, the leaves and stems (fresh or dried) can be used as a tea, sweetened with honey, if desired. Some people blend the leaves together with fruit juice, or add to vegetables and fruits when juicing. Let me share how I use the herb. Each morning, before breakfast, I visit my garden to collect 4-5 leaves and stems of herb robert. Then I pick 5-6 gotu kola leaves, several nasturtium leaves and flowers, a small handful of sheep sorrel and whatever else I feel like adding, which could be a comfrey leaf, watercress, yarrow and lemon balm (if I am planning to have avocado on toast). In the kitchen, the herbs get cut rather coarsely with a knife and heaped over toast, muesli, or whatever I have for breakfast. Herb robert has always been esteemed for its homeostatic action, the ability to help maintain an environment of physiological, organic stability, even when the body’s natural function or condition has been disrupted. I believe this herb can be a valuable addition for every person’s daily well being. Use it as part of cancer treatment or cancer prevention. Today, I checked with the Australian Bureau of Statistics for the Cancer Mortality figures. The latest figures available are for the year 2000, which showed 35,628 deaths, in a population of less than 20 million; (note these figures give us no idea how many thousands of people are also diagnosed with cancer, each year). With this alarmingly high, incidence of cancer in Australia, let’s all do what we can do, at a personal level, to change these statistics. 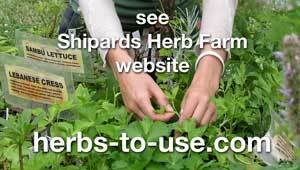 Share information of the benefits of herb robert with family and friends. If we can use the healing properties of Herb Robert, and also increase the concentration of oxygen circulating in our bodies, our immune system will be strengthened, so that we can resist disease and lay the foundation for high-level wellness. It is believed that the herb was probably named after the 11th Century French saint Robert, Abbot of Molerne, whose medical skills were legendary. Let’s use this herb for our health and healing. Herb Robert could be called a true saint, for the way it has helped and blessed so many people.